Run to the top of an extinct volcano! 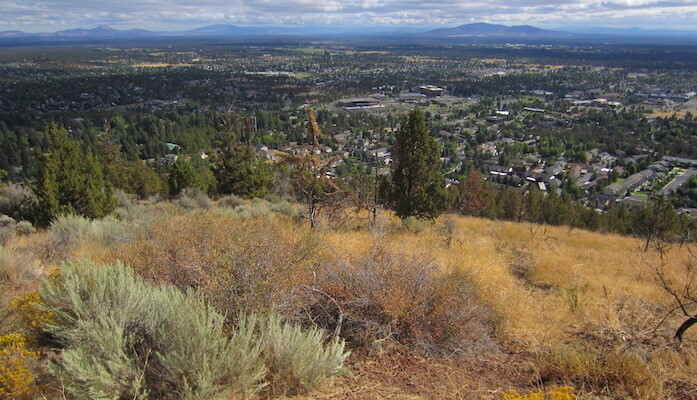 The Larkspur Trail is the gem of Eastern Bend, and while it curls out into some urban streets, the best section is undoubtedly Pilot Butte Park, where the trail plateaus with a stunning view of Bend’s high desert. From Larkspur’s northern terminus, just off NE Neff road, it’s about 1.5 miles to the summit on a steep but gradual wide dirt path. When you’ve enjoyed the view to your heart’s content, head down to the other end of Larkspur on the south end of the park. Return via the base of the mountain for a roughly 5 mile tour.